Adidas has defended the design of Manchester United’s new women’s shirt after it was branded sexist by fans. 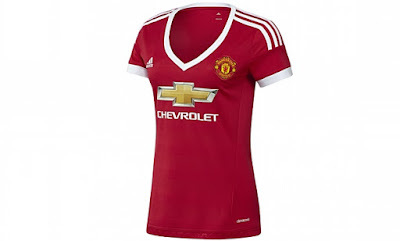 The German sportswear giant, which unveiled the first United kit of its £750m deal with the Old Trafford club last week, was criticised on social media for the design of the women’s shirt, which has a much lower neckline than the men’s version. Responding to the criticism, Adidas said it took the thoughts of fans into account before producing the kit. “Adidas provides an adult shirt which is a replica of what the players wear,” a spokesperson said. Nike did not produce a women’s version of the United shirt last season. Adidas pointed out that it makes women’s kits for Chelsea, Real Madrid, Bayern Munich and all of its other top European clubs.